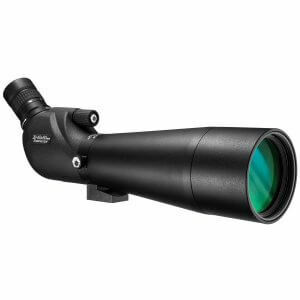 The 25-125x88 Benchmark Spotting by Barska is a great all-purpose spotter that can be used for a wide range of outdoor activities. 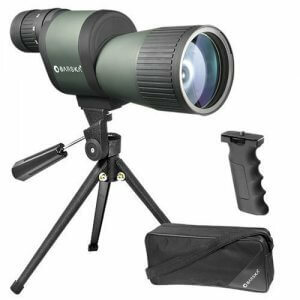 Whether you're looking to get a close-up view of wildlife or spot a target at the range, the Benchmark's powerful 25-125x variable zoom range and large 88mm objective lens will deliver stunning clarity and detail. 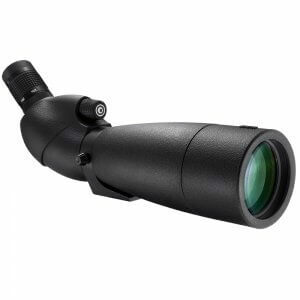 The 25-125x88mm Benchmark Spotter is 100% waterproof and shockproof, and features a rubber coating to protect the internal optics from bumps and scratches. 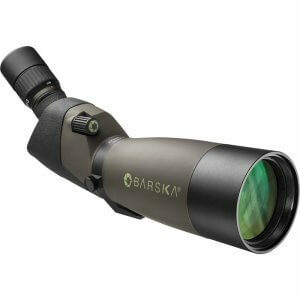 Barska’s 25-125x88 Benchmark Spotter offers a powerful zoom range with enhanced optics that provides the user with uncompromising clarity and performance, while a durable build ensures years of use. 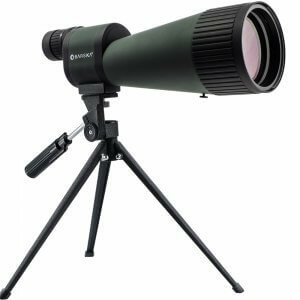 Boasting a powerful 25-125x zoom range, the Benchmark spotter is well-suited for a wide range of viewing scenarios. At 25x, the spotter can be used for general observation. See something interesting? Easily zoom to 125x magnification to get a more detailed look. When viewing at such high magnifications, it’s important to have a focusing system that will deliver precise adjustments. 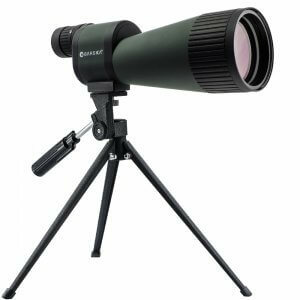 The adjustable objective lens allows the user to make fine adjustments to the spotters focus setting while maintaining a visual on the target object. An included tabletop tripod and Accu-Grip handle ensure steady viewing in any situation. The integrated tripod mount will fit most standard tripod mounting screws, allowing the spotter to be used with both the included tripod or your own! Keep your Benchmark spotter protected on the go or while stored with the included soft and hard cases. Both the hard and soft case can easily store the included accessories, such as the tabletop tripod and Accu-Grip handle.